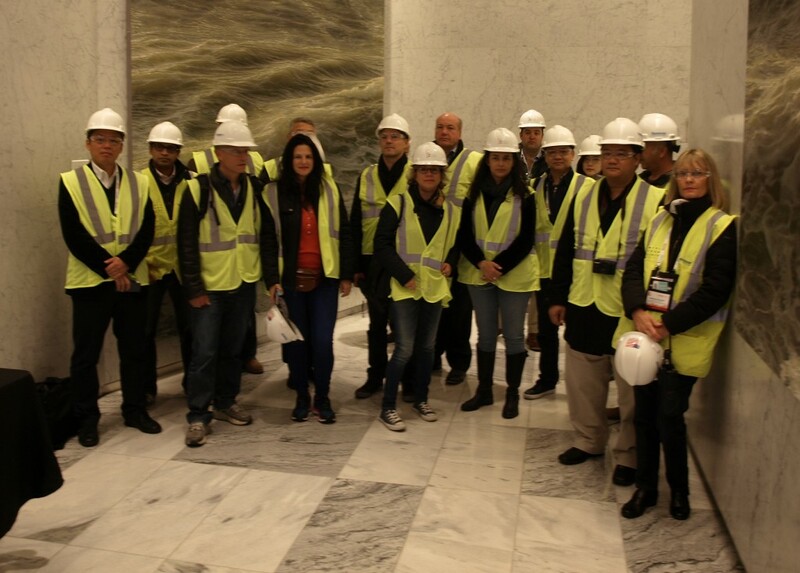 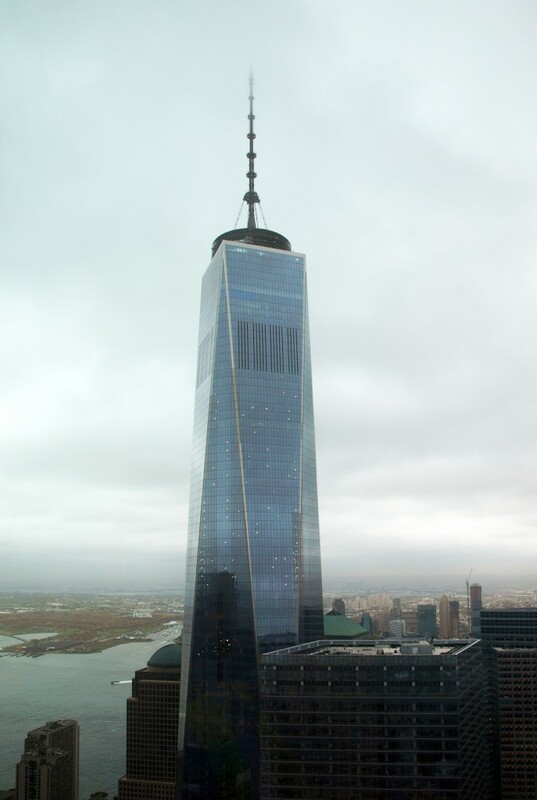 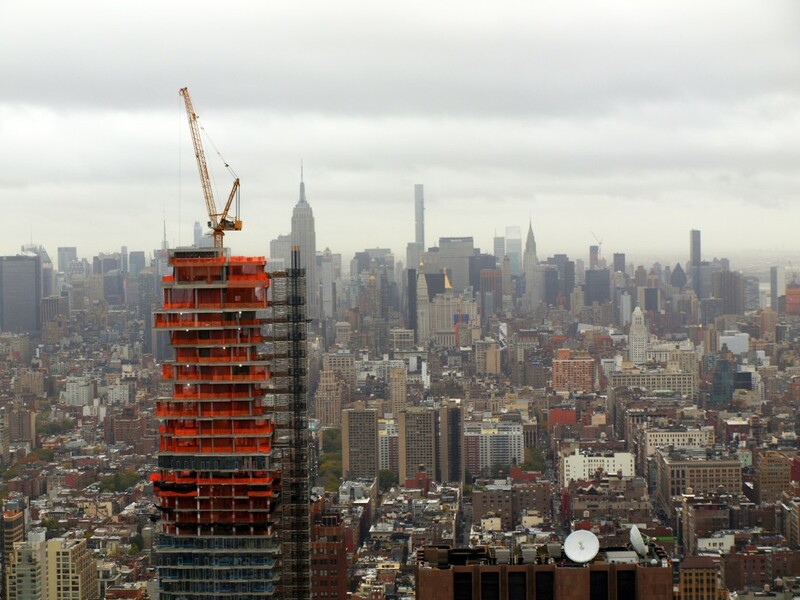 On October 28, delegates from the CTBUH 2015 International Conference met in the lobby of 7 World Trade Center for a tour of 30 Park Place, a 67-story mixed-use tower just one block to the east. 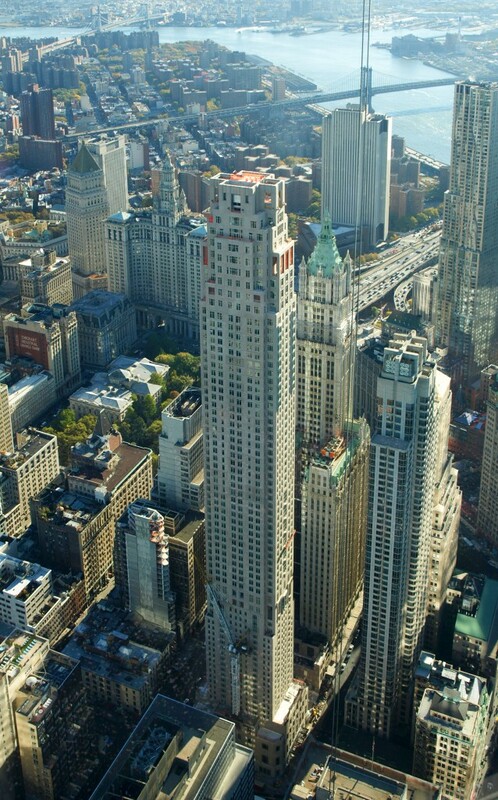 Designed by Robert A.M. Stern Architects and SLCE Architects, the 937-foot (286-meter) building will house the Four Seasons Hotel and Private Residences Downtown New York. 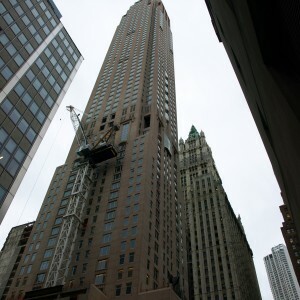 The building is being developed by Silverstein Properties. 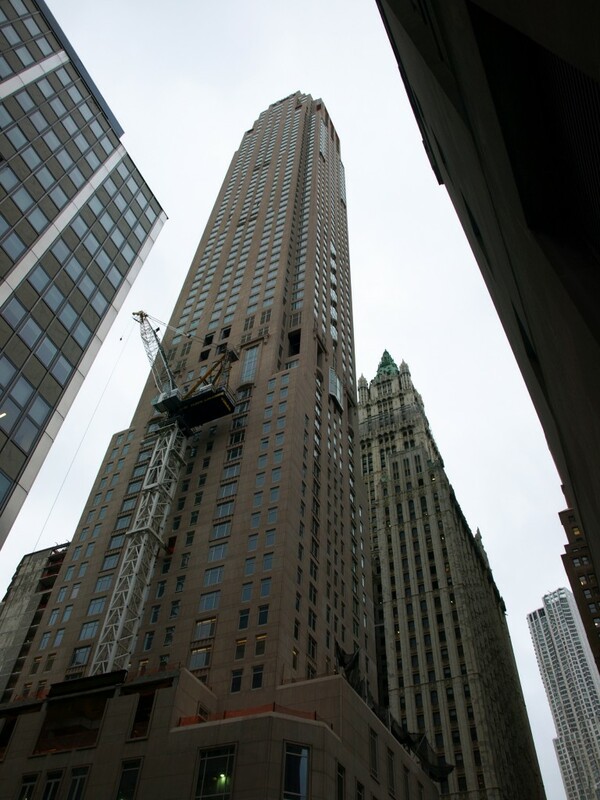 A Four Seasons Hotel will occupy the lower floors with 185 rooms, while there will be 157 luxury residences on the upper levels. 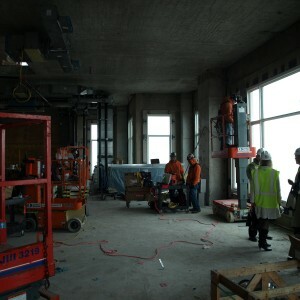 The group proceeded to the construction site where they boarded a hoist and ascended to the 63rd floor. 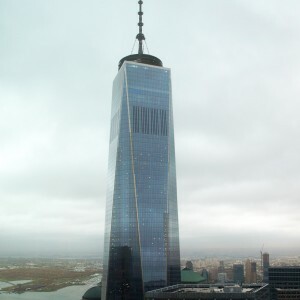 Despite the gloomy skies, the group was treated to fantastic views of Lower Manhattan, Brooklyn, and Midtown. 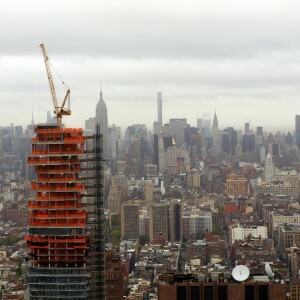 The highest residential floor is three floors up on level 66, 890 feet (271 meters) above street level and will be the highest residence in Lower Manhattan. 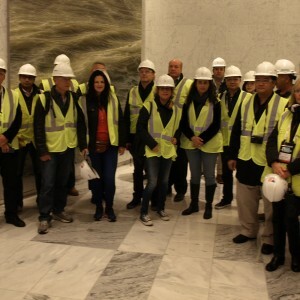 The group also toured the 62nd and 59th floors to see various penthouses. 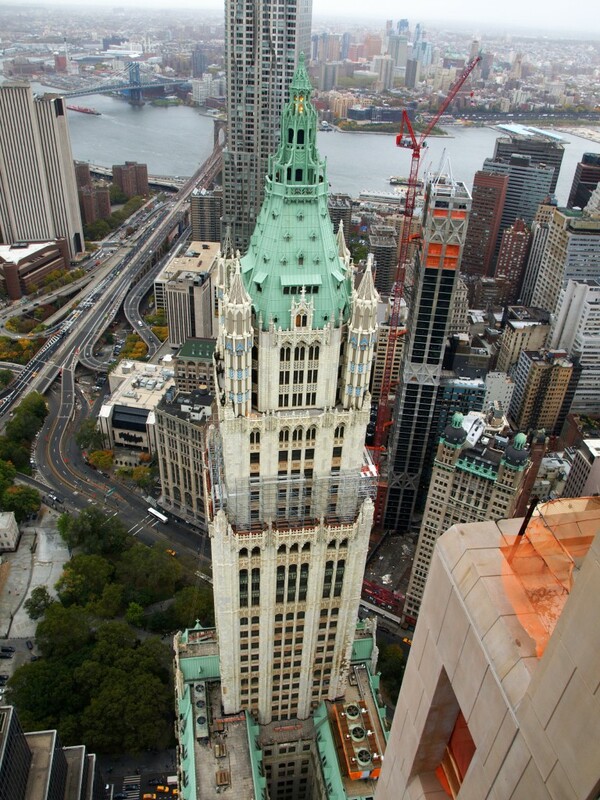 The 59th floor had the building’s highest ceilings at 18 feet (5.5 meters), along with open-air terraces. 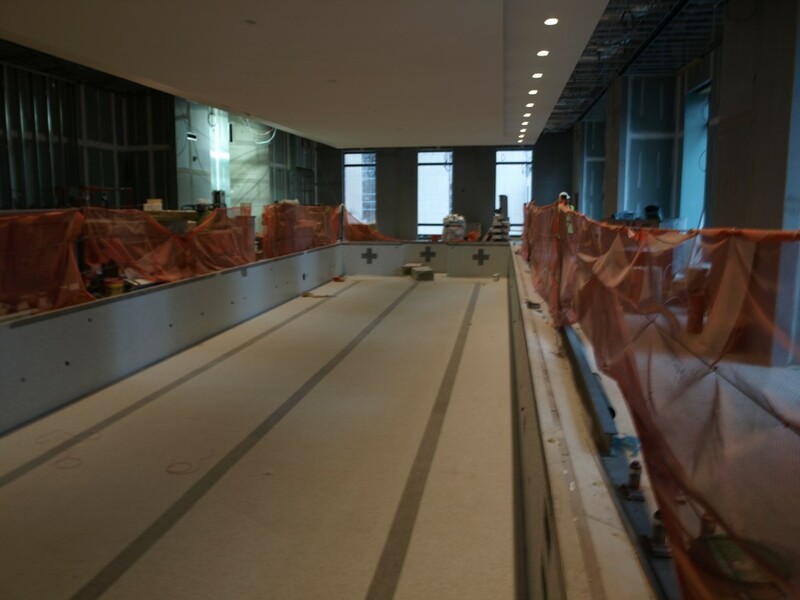 The concrete structural system was also visible on these floors. 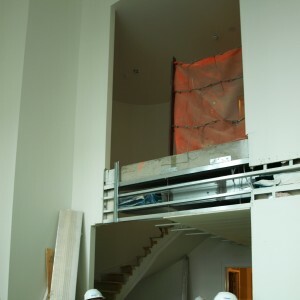 Next, attendees saw a loft residence on the 25th floor with a spiral staircase leading to the upper level. 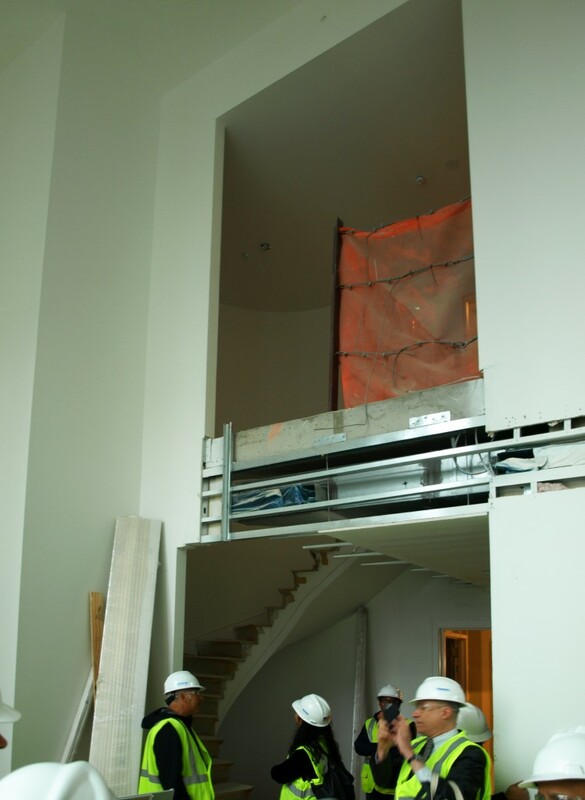 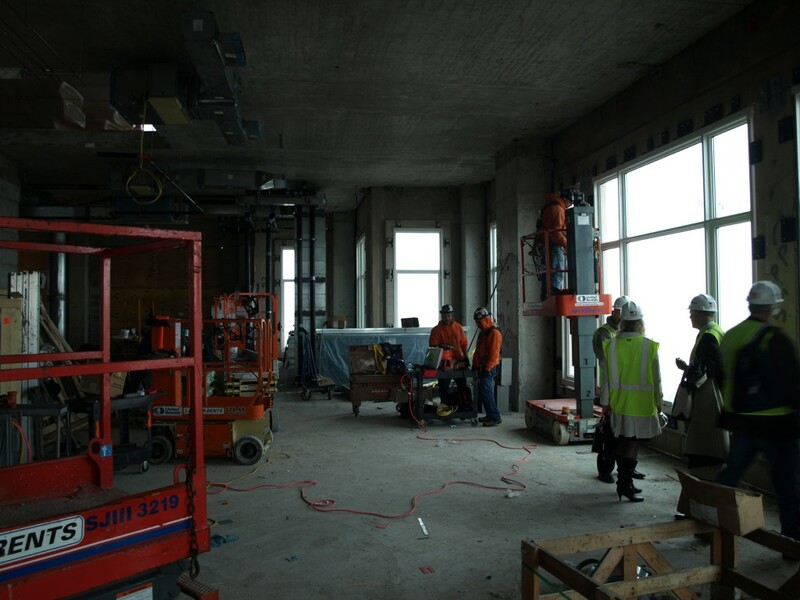 Taking the stairway down, the group checked out the residential amenities floor on level 22 and a typical hotel room on level 18. 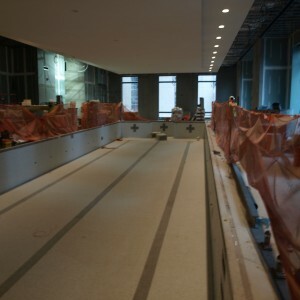 The tour ended with a visit to the olympic-size pool and the hotel lobby. 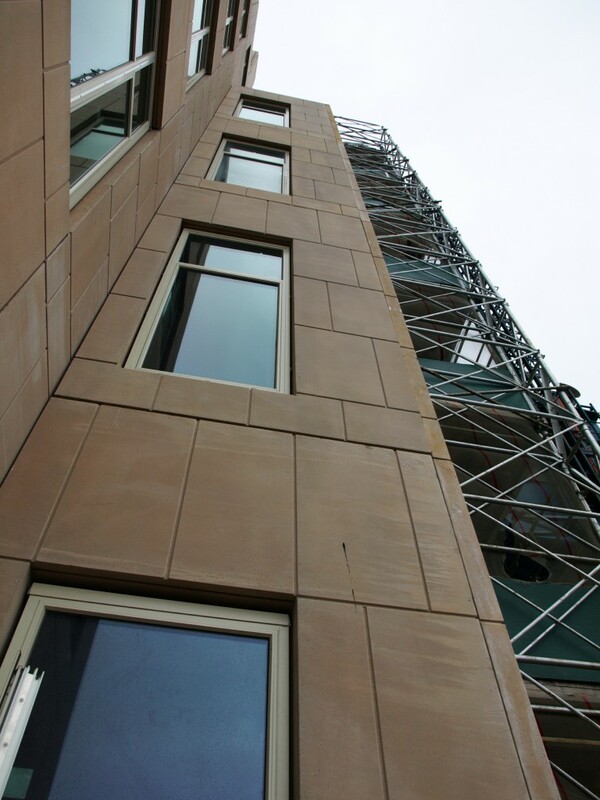 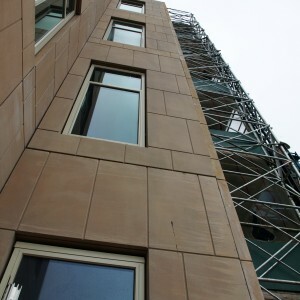 The building is expected to be completed in the summer of 2016. 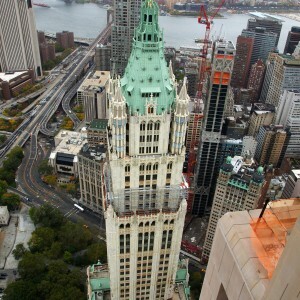 Thanks go out to Silverstein Properties, Robert A.M. Stern Architects, and Tishman Construction for hosting the event.